The Horror Dome News | New Halloween Products and Horror News | Tagged "Halloween Masks"
New for 2019: Aunt Helen Halloween Mask - Pre-Order Now! A full, over the head design, the Aunt Helen Halloween Mask is hand-crafted right here at The Horror Dome! This hair-raising mask makes an unforgettable and adaptable character that can fit a range of narratives in your haunted house. For years The Horror Dome has been creating the highest quality affordable Halloween Masks in the industry, and for 2019 we are going to keep on moving forward! An original Horror Dome creation, the Zombie Werewolf Halloween Mask is a hand-detailed work of art that is both movie-worthy and collection-quality. Freak out the local trick or treaters on Halloween, terrify passengers on a haunted hayride, or bring an exciting new character into your haunted attraction. 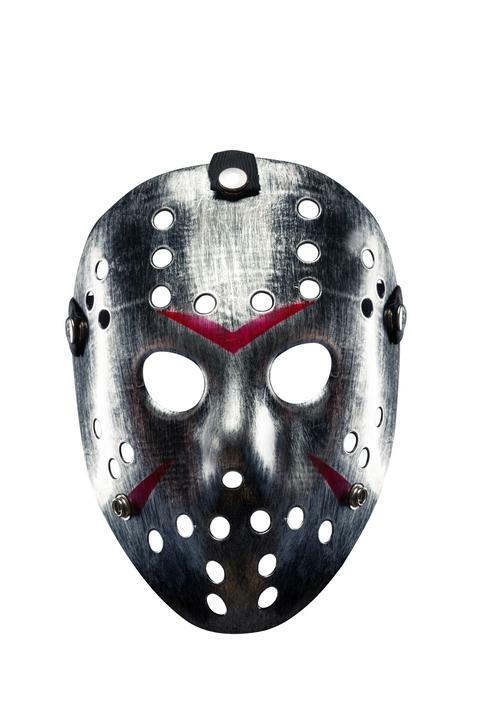 And today only this fantastic Halloween Mask is on sale for 10% off with coupon code FEATURED - simply enter the code at checkout! Ahh, summer camp. 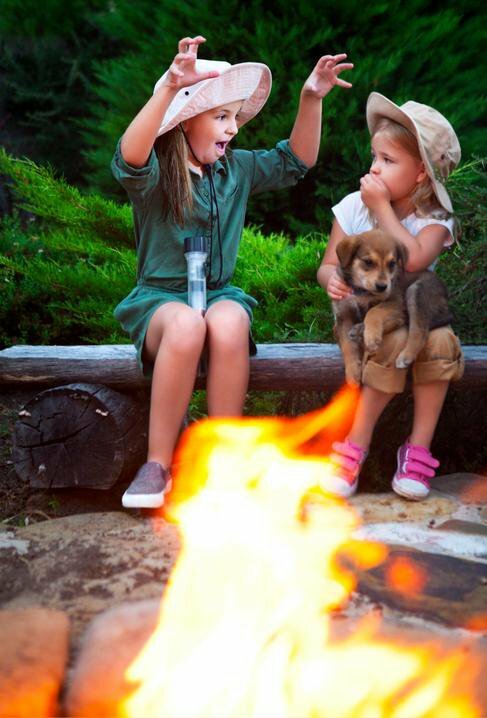 There’s no better way to make kids appreciate the creature comforts of home than by forcing them to spend a few weeks living in the wilderness. Summer camp has been a tradition for some families for decades, and over the years, little has changed. 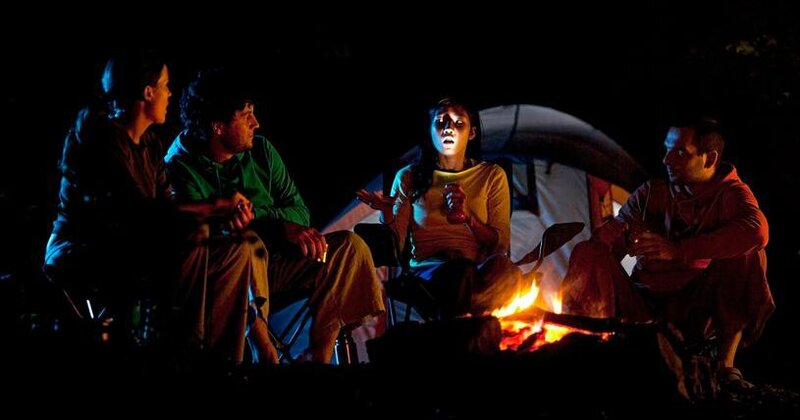 You can still count on numerous bug bites and unexplained rashes, frigid lake water, pointless arts and crafts time, a cruel social pecking order, and terrifying tales being told around a smoldering campfire. Hundreds of years ago in these very woods, a young settler met a native girl and instantly fell in love. Knowing that their interracial romance was forbidden, they kept their love a secret. One day, a nosey neighbor followed the young lad into the woods, and observed the couple embracing. Their secret out, they were soon captured by the authorities. As punishment, they were tied to this mighty oak that sits by our campsite, brutally stabbed, and left for dead. Days later, when relatives came to retrieve their bodies, there was nothing to be found. No one knows what happened to their remains, but they say on some nights, the lovers’ tree still bleeds and howls in agony. A couple driving home late at night spots a hitchhiker on the side of the road. As they approach they see it is a young girl, and pull over to help. She calmly tells them where she’s headed and they offer her a ride. She sits in the backseat, staring straight ahead, completely motionless. The couple attempts to engage her in conversation, but she remains speechless. Soon, they pull up to a house at the address she had given them. They turn to look in the back seat, and she has completely vanished. Two young lovers, Nate and Karen, are getting hot and heavy up at makeout point, when an urgent newsflash comes over the radio. A psycho killer has escaped from a nearby asylum. With a hook for a hand, and standing over six and a half feet tall, this murderer is a force to be reckoned with. Nate assures Karen that it’s nothing to worry about, locks the doors, and tries to pick up with they left off. Karen isn’t having any of it, though. She gives him a firm “no,” and tells him to take her home right now. Nate is pissed, but complies with her demands. He quickly turns the key, slams on the gas, and peels out of the parking lot. Soon, they arrive at Karen’s house. As she opens her door, she notices an object hanging off the door handle; a metal hook, covered in blood. 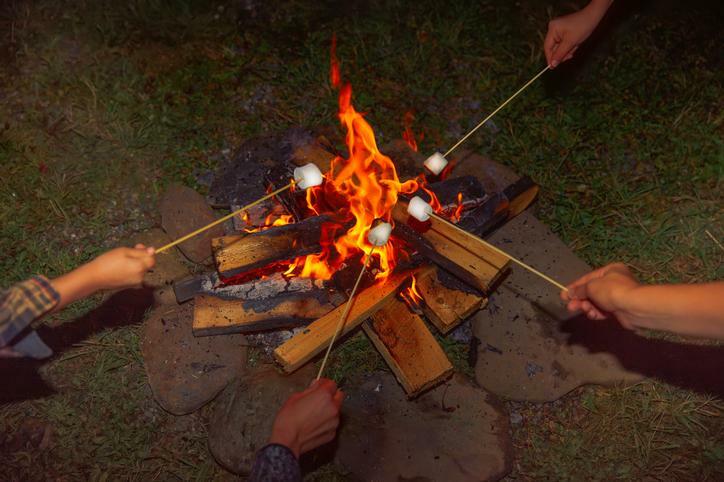 Are you a camp counselor, scout leader, or chaperon on a camping trip? Passing these bone-chilling tales to a younger generation is your duty as an adult. Team up with an accomplice wearing a shockingly-realistic Halloween mask from The Horror Dome, and have them jump out from the woods right as your ghastly tale comes to a climax. It will be a major fright your campers will never forget! Everybody’s afraid of something in this world – so, what’s your phobia? A mild type of anxiety disorder, phobias are usually triggered by a specific item, physical object or situation. You’ve probably heard of arachnophobia (the fear of spiders), agoraphobia (the fear of being trapped in a public environment), or the commonly held acrophobia (the fear of heights), but is the term deipnophobia familiar? Probably not. There are dozens of strange and little understood phobias – some of which sound too bizarre to be real. There is one fascinating phobia that can prove pretty nightmarish around Halloween: maskaphobia. 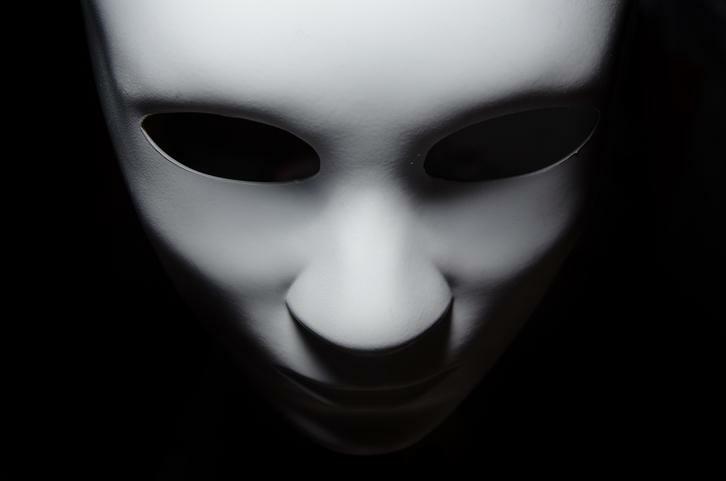 More common in children, but experienced by people of all ages, the fear of masks varies from one person to the next. 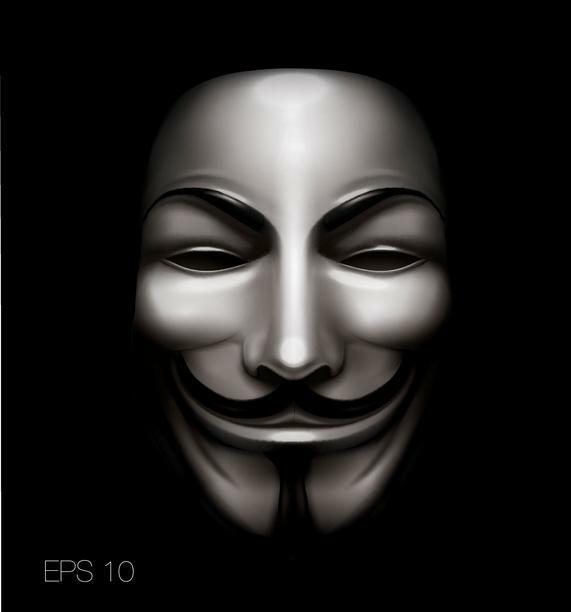 Some people are only frightened by a certain type of mask, while others are spooked by any disguise that diverts from the classic human face. 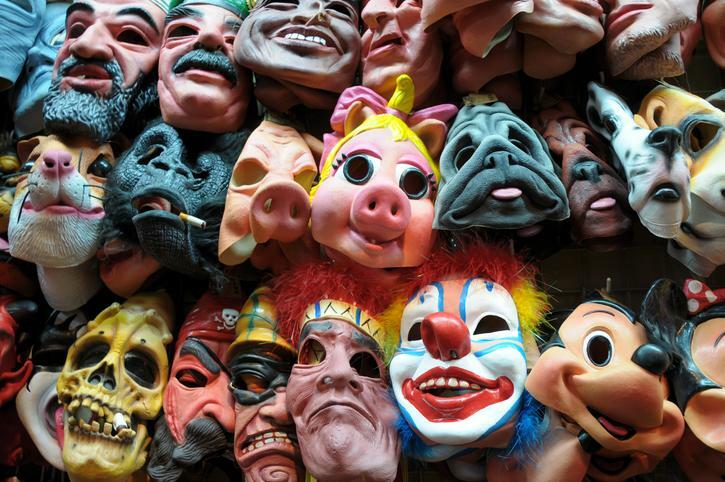 Religious masks, costumed characters, clown masks and creepy horror masks almost always provoke severe anxiety in maskaphobics. Since hair-raising terror is our specialty here at the Horror Dome, we can guarantee that our gruesomely-realistic Halloween masks will elicit heart palpitations and cold sweats in those who suffer from masklophobia. Does the mere thought of making conservation over a meal make you shudder with dread? Then you may be suffering from deipnophobia – a type of social anxiety that revolves around eating and talking. People who have been diagnosed with deipnophobia tend to avoid dinner parties and eat alone in absolute silence. An irrational fear of excessive heat or hot temperatures, thermaphobia can be crippling to its sufferers. This disorder is usually accompanied by thoughts of being trapped and unable to escape. Thermaphobics are constantly monitoring the weather for heat waves and tend to stick to environments where the climate is always controlled, i.e. indoors. The fear of balloons and the loud cracking sound they make when popped is a real thing. Globophobia is sometimes generated by a traumatic event in childhood. Think birthday parties and that time when someone snuck up and popped a balloon right in your ear! Those who have globophobia can experience serious anxiety at the thought of touching, seeing or even smelling the rubbery scent of balloon. Your mother may have blamed it on your picky eating habits, but those broccoli spears were downright scary and a potential choking hazard! If the thought of eating cauliflower, cabbage or any other vegetable makes you wince, then you may have lachanaphobia. Some experts believe this phobia is tied to a fear of swallowing seeds or insects inside the veggies. Rounding out our top five list of wacky and weird phobias is the fear of knees (they could be your own or someone else’s). Some people only cringe when seeing uncovered knees in person, while others have panic attacks at the sight of bare knees on TV or film. Phobias can take over all logical and rational thought, causing uncontrolled crying, anxiety and even physical flight from the situation. Since Horror Dome is filled with a wide selection of terrorizing masks for Halloween, maskaphobics are encouraged to steer clear. For those of you who embrace underworld demons, ravaged zombies and demented clowns, we invite you to browse our signature Halloween masks freely! Very Well Mind, What Is Maskaphobia or Fear of Masks?